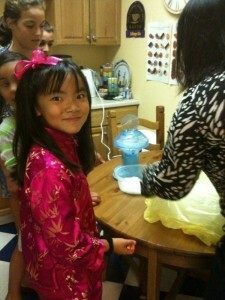 Our Mandarin Chinese programs for children are taught by native Chinese speaking instructors from China. We focus on teaching children all parts of speech (full sentences) from the beginning following the unique Q-Talk method. Using the 4 tones of Mandarin flawlessly is our goal for the students, as well as understanding how Chinese works. Writing characters will be added when the students are ready, and the alphabetized version of Chinese will be taught alongside each lesson (Pinyin). Please visit our Center to meet with one of our instructors. Should you be interested in a program, please contact us for alternatives that work for you!